I think the colour looks great on the GT430 a very cool sight. I had a very strange moment today, leaving the Ring entrance parking lot at Devils Diner, waiting at the roundabout. Couldn‘t believe my eyes when i saw „my cars sister“ What a coincidence! Same spec besides GT430 instead of Sport and the black brakes. The Rear diffuser on that GT430 (not the Sport), is the Standard one or the Aluminium more pretuberant one? No, it is the standard one. Just received confirmation and a couple of photos of our GT430 Sport on the production line. Awesome. Are you planning to visit the factory so see it on the line? Car left the factory yesterday, we should be popping into Central Lotus after work Thursday to see how they are getting on with the final touches to our new car. Congratulations, looking forward to the pics. Finally picked up our new and exciting GT430 this afternoon from Central Lotus; Yes on the short 30M drive home the car is certainly as good as our old Cup 260, presence on the road the steering and suspension set up certainly feels like driving a (very special) carpet. Looking forward to showing our eldest grandson what the best drivers car since the old Esprit and series 2 Exige looks and sounds like, really can't wait to see what the next generation of Lotus cars is like under the money/guidance of Geely. 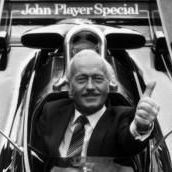 Thank you Lotus, and especially MJK for starting this whole new Evora (future) classic supercar period. thank you for your post. what is your feedback regarding the gearbox ? do you plan to use the car on track ? The auto gearbox is absolutely amazing ! By the past, I had an Evora S with the AT, but it was not really nice to use. The up shift was not fast at all, and down shift was even bad. You couldnt go down in first gear in hairpin bend (even if you could go down in first below 50km/h, in real situation, it was impossible to do). Now, it's quite as fast as every double clutch gearbox. I went on track with it, was really nice, the problem was I got a black flag due to the noise (106dB). The only complain with the AT is the lack of a LSD, but I can't feel it on main figures. Another great point for me, regarding the AT is the sound when you up shift, it's like a crackering noise, a big bang at every single change. You cant hear that with the manual ! The only "issue" you can't get the open/close exhaust button fitted like on the manual or previous Evoras. I assume is due to a different ECU mapping, but impossible at this moment. It's really annoying when you go on track, as you'll be black flagged on quite every track day. Nicholas, we previously had the AT on the S, the AT on the GT430 is unbelievable. No decision yet on tracking the car. Michael, you are incorrect regarding the exhaust valve override switch, your dealer should be able to carry out this mod, if not you need to speak to a British dealer when you are next in the UK, or speak to Central Lotus in Nottingham. Then I passed you on your way back from FoS on the Friday, I think. 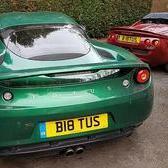 (I wasn’t in my Evora, unfortunately). 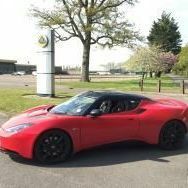 I really would like to test this evora GT430 with the ips gearbox. Due to the lack of automatic gearbox on the new Exige , this is for the moment the only choice I have in the lotus range. But I don't think that we have one in France , so it will be complicated to test. 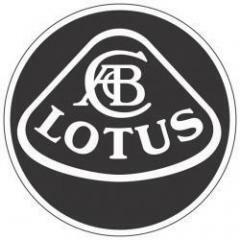 I will take my decision during this autumn, I would like to stay in the Lotus club. Pretty sure the auto box in the 430 will be identical to the 400, so if you could find a standard 400 auto to test drive you would get to know what the box is like. Suffice to say it's very, very good. I doubt that they are attempting to make it worse though, so the suggestion about trying a 400 sounds like good advice.